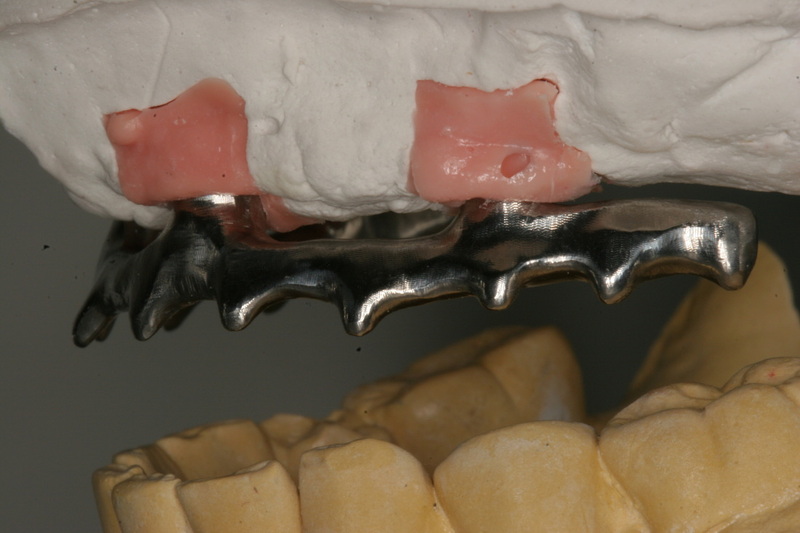 The All-on-4 treatment concept provides edentulous patients with an efficient and effective restoration using only four implants to support an immediately loaded full-arch prosthesis. Surgeon extracts existing teeth, places implants, and Multi Unit Abutments are screwed into place. Either the existing denture has the palatal aspect removed or a Verch Dental’s mesh reinforced immediate denture is retrofitted and screwed into place. The patient will wear this as a temporary for approximately 4 months during osseointegration. Verch Dental orders parts for the dentist and creates a custom tray for 2nd appointment. An open custom tray fabricated by Verch Dental is recommended along with utilizing open tray components. A stable Polyether or PVS material is required. Four (4) impression copings will be required for the initial impression unless additional implants have been placed. 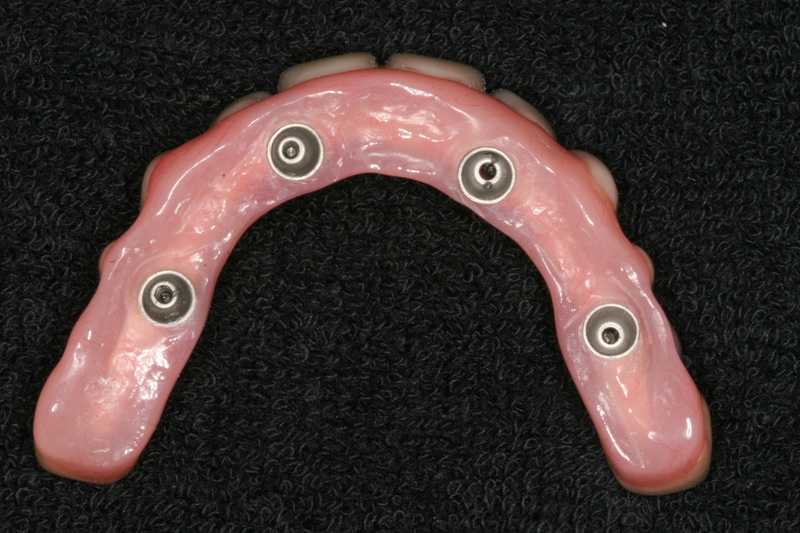 Verch Dental will then fabricate a “Screw-Retained” Baseplate and Occlusion Rim for 3rd appointment. The provisional restoration is removed and the “Screw-Retained” Baseplate is secured. Preoperative model or a model of the provisional must be included to assist in tooth selection. Verch Dental will mount casts and set selected teeth for try-in on retained base and fabricate a resin bar. Verch Dental will scan resin frame using Procera’s Forte CAD design, then Nobel Biocare Procera will utilize CAM technology to fabricate a titanium bar. Verch Dental will process verified teeth and titanium framework. Final prosthetic screws are torqued to 15 Ncm and access holes covered with cotton or light body PVS impression material and flowable composite. This will protect the screw heads and keep material out of the access holes.